The JEE Main 2018 rank predictor tools help students to predict their JEE Main 2018 rank in advance. 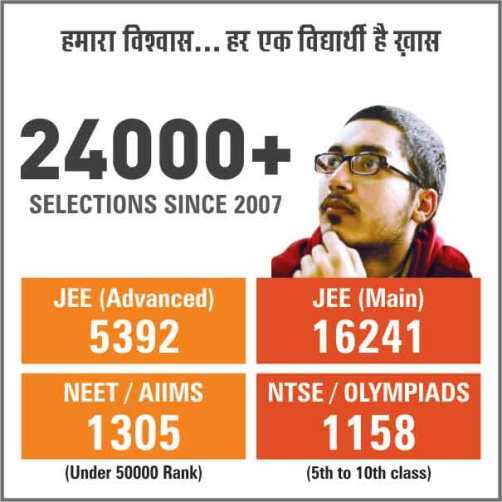 The JEE Main exam is counted as one of the most important examinations in the country. Students who have appeared for the JEE Main 2018 exam, will try to guess their rank, so MOTION has made easy with JEE Main 2018 Rank Predictor. All students can check their score by our answer key. After checking their correct answers they have to enter their marks in the below form and check their rank. This tool is easy to use. Students can just enter their phone number and email id to check result. This helps the students to check their rank much before the JEE Main 2018 result declaration.